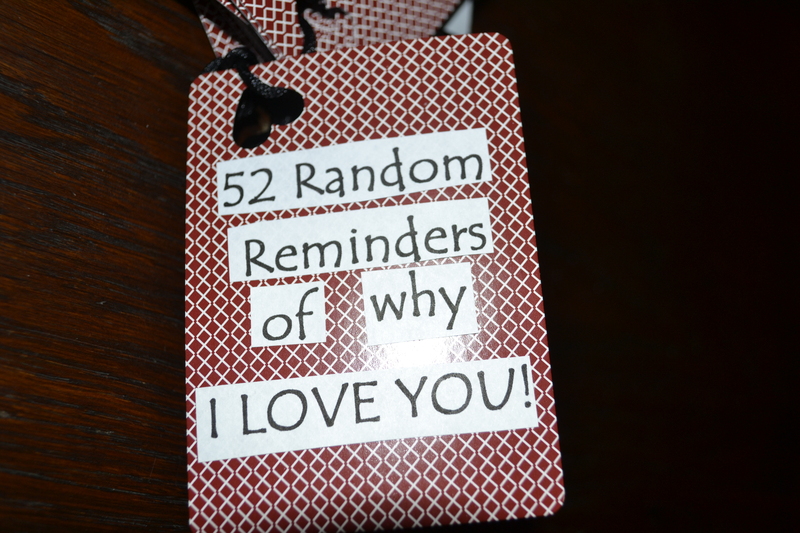 A while back I stumbled across a cute idea on www.pinterest.com and made a mental note, “I am going to do this for my hubby.” I bought a deck of cards and jumped on my computer to make my list of “52 Random Reminders of Why I Love You”. (Am I the only one who thinks this resembles a ransom note?) When I started, I was a little slow, honestly. But after about number ten, I became lost in my list and was having to do trade-outs to keep the number at 52! 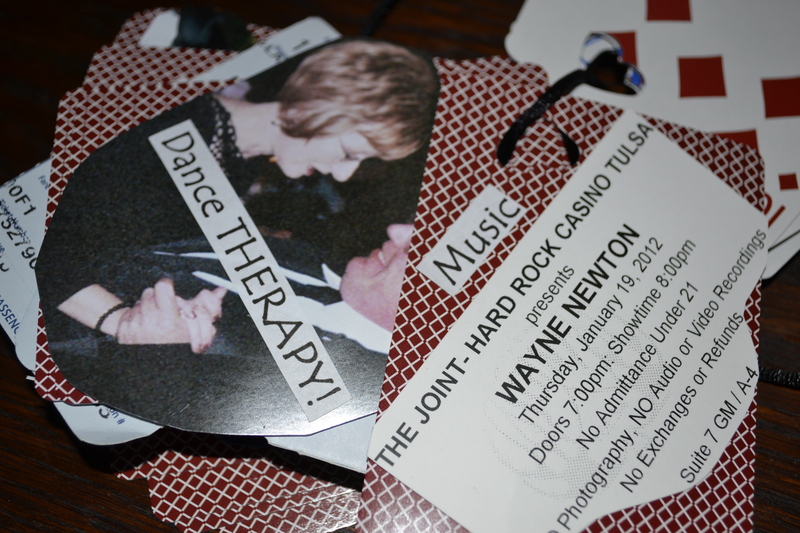 I still keep thinking of things I missed at the time and know I could easily fill a few more decks of cards. I began doing this project FOR my hubby. But somewhere in the searching for the right words in my head, my heart took over and it became therapeutic. This was not just to tell him, it was to remind me. There are so many reasons and reminders of why I still love him. Thirty-something years worth. 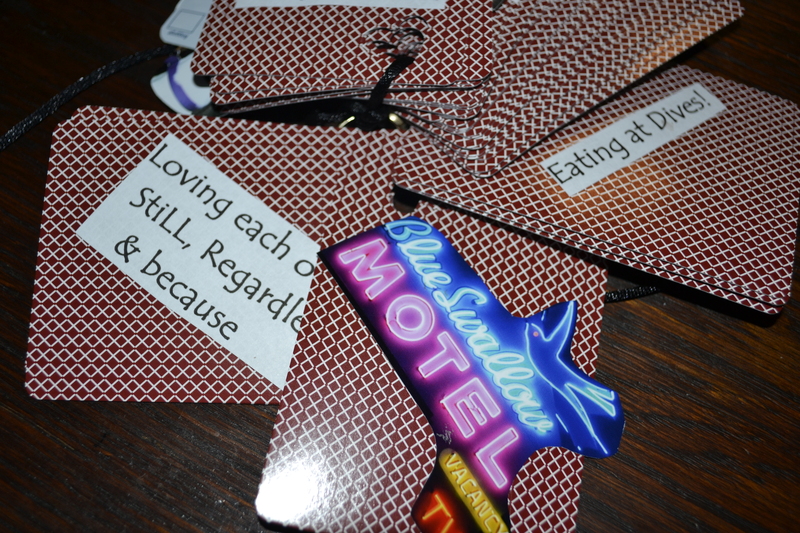 This entry was posted in appreciation, DIY, marriage, Reflections, Relationships, Uncategorized and tagged 52 Reasons, deck of cards, ransom note, therapy, valentine, valentine's card, valentine's project from the heart, valentines day, Why I Love You. Bookmark the permalink. Two years ago, I gave my beloved a gift of a poem a day for 14 days. The 14 turned into a year of a poem a day which I eventually made into a book for him at Christmas. Like you, I discovered it wasn’t ‘about him’ and was all about me. My understanding, knowing, feeling, gratitude for love deepened — as did my love for him. I think I might try this one this year — love it! What a terrific idea. One could also do the same for things they are grateful about their friends, children, life, their faith, and more. Thank you for the suggestion! Pinterest is great to find fun ideas! It’s that old dog and new trick thang…. Paula – I love this project. 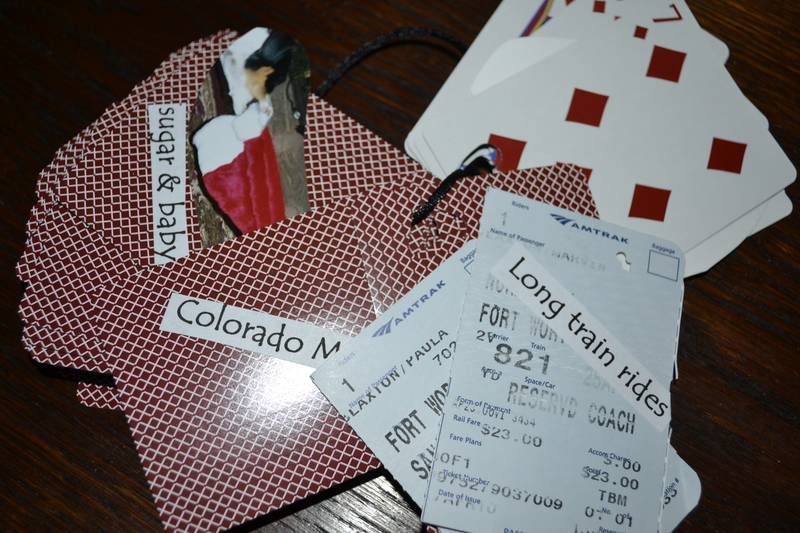 Reminder notes are good for the soul, both for the person receiving the notes and for the individual making them. 🙂 I am so creatively challenged. Which means piece of cake for YOU! Wow, this so brilliant … if I had a partner that had done this for me???!!!! I have to do a list over 52 reasons way I live on my own.